By banning the use of any prefix or suffix with the name of licensed Ayurveda, Siddha or Unani medicines, the government wanted to discourage the Ayurveda, Siddha and Unani drug manufacturers from mimicking the names of these drugs. For example, by mimicking the product 'Chyawanprash', there are products like 'Sona-Chandi Chyawanprash', 'Chyawanprash Special', etc. in the market. Now the manufacturers have to remove the suffix and prefix like these from their products. The department has amended the Drugs and Cosmetics Act to insert the Drugs and Cosmetics (5th Amendment) Rules, 2013 under which the department has inserted sub-rule (1B) and sub-rule (1C) after the sub-rule (1A) in rule 157 of the Drugs and Cosmetics Act. 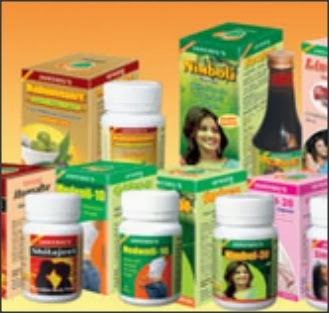 A notification issued by the Ayush department said, “(1B) No manufacturer shall use any prefix or suffix with the name of Ayurveda, Siddha or Unani medicine falling within the purview of clause (a) of Section 3 of the Act, except as specified in books listed in the First Schedule to the Act: Provided that notwithstanding the normal license renewal time period provided in rule 156, the licensee of such Ayurveda, Siddha or Unani medicine, which is not in conformity with the rules, shall seek renewal of the license with appropriate name of the medicine within one year from the date of publication of the Drugs and Cosmetics (5th Amendment) Rules, 2013: Provided further that the anonymous formulations mentioned in the authoritative Ayurveda, Siddha or Unani books and covered under clause (a) of Section 3 of the Act are named on the basis of first ingredient of such formulations with or without the use of prefix or suffix mentioned in the said authoritative books: Provided also that no Ayurveda, Siddha or Unani medicine with the date of manufacture prior to the publication of the Drugs and Cosmetics (5th Amendment) Rules, 2013 shall be affected. (1C) The names of patent or proprietary Ayurveda, Siddha or Unani medicines falling under the purview of clause (h) of Section 3 of the Act, except to the extent of using the names of dosage forms of such formulations, shall not resemble or mimic the names of formulations specified under clause (a) of that section and mentioned in the books listed in the First Schedule of the Act.